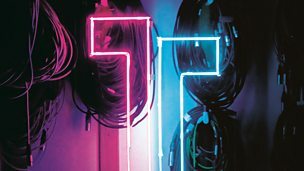 Tectonics, the BBC Scottish Symphony Orchestra's festival of new and experimental music returns on 5 May 2018 for two days of events bringing together international and local artists, composers and performers from the worlds of classical, experimental, rock, noise, sound art, dance and visual art in Glasgow's City Halls and Old Fruitmarket, curated by the BBC SSO’s Principal Guest Conductor Ilan Volkov and by Alasdair Campbell. The BBC Scottish Symphony Orchestra will be premiering works by Naomi Pinnock, Evan Johnson and Dror Feiler, and two BBC Commissions from James Clarke and Marc Sabat, plus the European Premiere of Ashley Fure’s piece Bound to the Bow, named a finalist for the 2017 Pulitzer Prize in Music. Visitors give something of a Japanese theme with 80s cult duo Syzygys, Osaka-based artist Tetsuya Umeda and a new work by New York’s Miya Masaoka which uses the koto, a traditional Japanese instrument, and Masaoka will also be collaborating with British sax virtuoso Tony Bevan. French composer Pascale Criton brings a new piece to the festival along with her regular collaborators and performers Silvia Tarozzi and Deborah Walker. They are joined by one of the world’s leading exponents of the ondes Martenot, Nathalie Forget, who opens the festival with the unmistakable sound of this unique instrument.